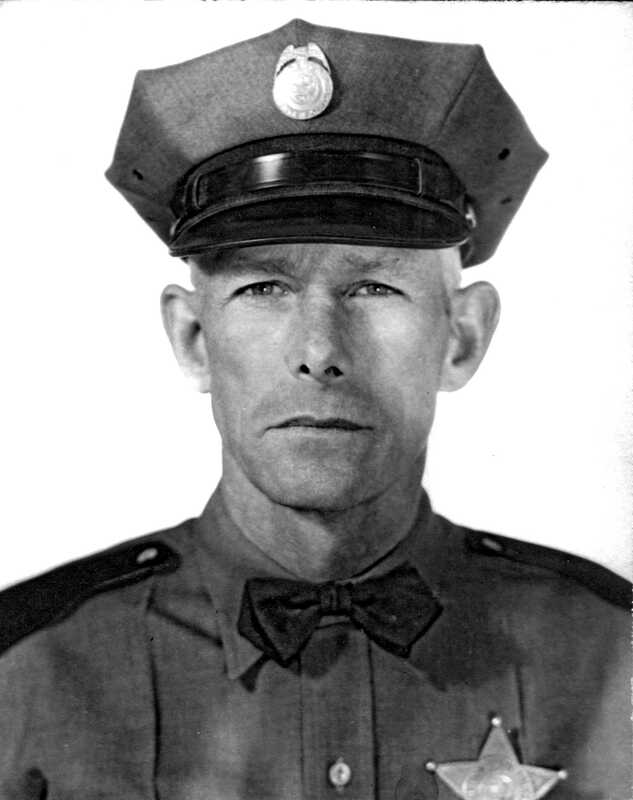 Oregon State Trooper Philip B. Lowd was described as, "a fearless law enforcement officer who would walk up to an armed suspect in order to arrest him if need be", according to the Medford Mail Tribune of Wednesday, June 25, 1952. Trooper Lowd was summoned by district assistant ranger. Lowell Ash, at Union Creek in Jackson County to investigate the report of a national forest work crew being fired upon by an unknown gunman. The two made their way up Elk Creek about 3:00 in the afternoon of June 24th, 1952 to the cabin of George Baker Dunkin, a 67 year-old recluse miner and trapper. Trooper Lowd knew Dunkin as he had arrested him about a year previously on a charge of being in the possession of illegal meat. As the two officers approached the cabin shots were fired from the cabin and they jumped behind a log for protection. Trooper Lowd radioed for assistance and shortly State Trooper Charles Offenbacher arrived. The two State Troopers approached the cabin and saw Dunkin slip out and disappear into the woods. While trying to locate the suspect shots were fired from the woods and Trooper Lowd was hit in the head and killed instantly. State and county officers searched the very rugged wooded area by truck, foot and air for several days. Dunkin was thought to have returned to his cabin and also to have raided camping areas for food and supplies before he was finally apprehended. He was convicted of second degree murder in October 1952. He died in the Oregon State Hospital in February of 1967. Philip B. Lowd was born in Massachusetts the son of George Lowd on October 27, 1898. He had one brother Howard. Philip was a Yeoman 3rd class on the battleship USS Arkansas during WWI and saw action in the Atlantic Ocean near the end of the war. After the war he was the manager of a service station and later was a state forest patrolman about 1925 and then as a deputy sheriff in Jackson County. He joined the Oregon State Police in 1932 and served in the Klamath Falls and Lakeview areas before coming to the Medford office. He was married in 1933 to Claudia Klum. They had no children. Claudia died in 1987 and is buried next to Trooper Lowd in Siskiyou Memorial Park in Medford, Oregon. His federal government headstone marks his naval service.